It wasn’t long after America’s Civil War that a government agency was created to assess the condition of our nation’s forests. Originally designed to maintain the country’s timber supply and grazing lands, the U.S. Forest Service changed course over time to include outdoor recreation and ecosystem management in their mission, which was great news for those of us who love to spend our leisure time outdoors. If you add national forest acreage to national park totals, you more than triple the size of America’s outdoor playgrounds. North Carolina leads the Southeast with the most national forests in the region. From the craggy peaks of Pisgah to the coastal bogs of Croatan, the Tarheel State boasts more than 1.25 million acres of protected woodlands and waterways. This wild landscape is home to long-distance hiking trails like the Appalachian and Mountains-to-Sea trails, as well as the only saltwater paddling trail in the national forest system. On top of that, Carolina’s national forests offer world-class climbing, mountain biking, backcountry camping, and more. Check out our list of the top adventures waiting for you in North Carolina’s four national forests. 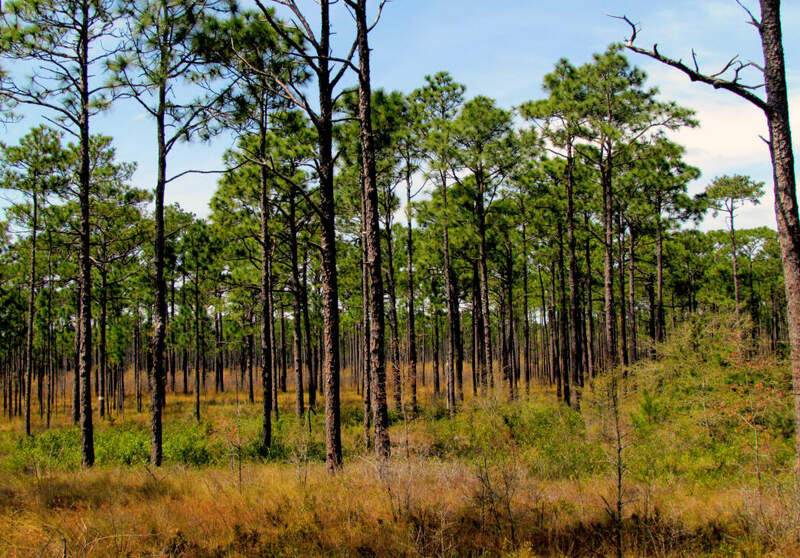 Named for the Native American Croatan tribe, Croatan National Forest is a marshy coastal savannah dotted with longleaf pines, shrub bogs, and murky blackwater creeks. Hike the easy and mostly flat, 20.4-mile Neusiok Trail across pocosins (or raised swampland) along the sandy shores of the Neuse River, and through cypress wetlands. Look for wild turkeys, deer, black bears, otters, and alligators in the brush and osprey and bald eagles overhead. The carnivorous Venus flytrap and pitcher plant also thrive here. Along the trail, you’ll also find dispersed camping and three reservable overnight sites with three-sided shelters, and fire rings along the trail. For a different perspective on Croatan, paddle the beginner-friendly Saltwater Adventure Trail. It takes up to seven days to complete the entire 100 miles of trail that circumnavigates Croatan from Brices Creek near the mouth of the Neuse to Haywood Landing on the White Oak River. Along the way, you’ll float through narrow, brackish creeks and pass historic coastal towns like New Bern and Beaufort. Paddle into the open waters of Bogue Sound, a protected bay that separates Croatan from barrier islands and the open Atlantic, before rounding Cedar Point for the final leg of your journey upriver along the shady and slow-flowing White Oak River to the take-out. Six public access points make it easy to break the paddle into half- or full-day trips, and all but one have frontcountry or primitive camping facilities. A frontcountry campground at Oyster Point has restrooms and potable water. At just over 50,000 acres, Uwharrie National Forest is North Carolina’s smallest and newest National Forest. Hike the 20-mile Uwharrie National Recreation Trail over the heavily wooded, rolling hills of this ancient mountain range, or trail run a portion of the smooth, non-technical route. 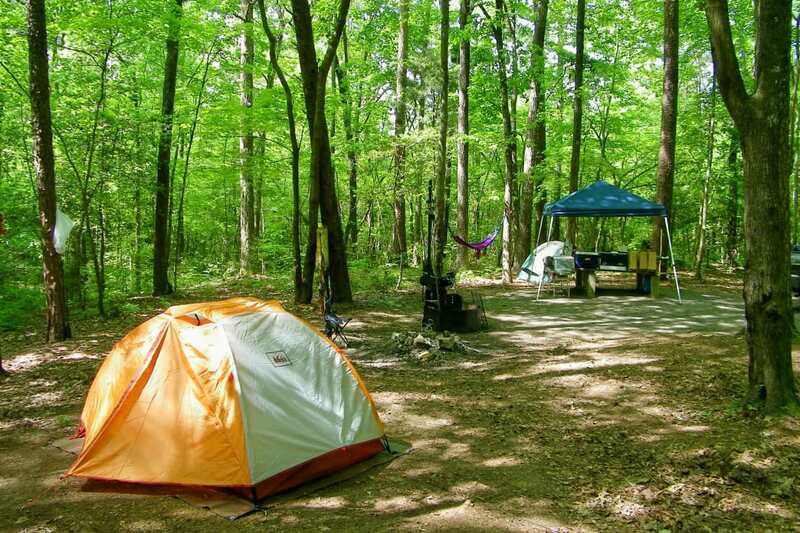 There’s dispersed camping along the trail and two frontcountry campgrounds with individual and group sites. Intermediate mountain bikers will love the Wood Run trail network for 22 miles of fast, tight, and flowy singletrack. Backpackers can explore the Birkhead Mountains Wilderness, named for a family plantation at the northern section of the Uwharries. A 6.9-mile loop follows a mix of old roadbeds and trails that run past the remains of old homesteads and farms. Dispersed camping is also permitted along the trail. Try flatwater kayaking and SUP boarding on Badin Lake, a year-round destination with boat-in primitive campsites and miles of remote hiking trails. With more than 100 miles of shoreline, the lake offers plenty of great spots to fish, or you can drop a line from your boat to catch largemouth and smallmouth bass, catfish, crappie, sunfish, and stripers. Home of the first forestry school in the country, Pisgah National Forest is a mix of high peaks, deep gorges, and spectacular waterfalls. In this rugged wilderness, standout destinations include Mount Mitchell, the highest peak east of the Mississippi, and Linville Gorge, nicknamed the Grand Canyon of the East. Climb Table Rock, Shortoff, or Hawksbill Mountain for stunning views across Linville Gorge, or take three to four days to backpack the length of the 30-mile Art Loeb Trail. Or, join experienced climbers tackling the Amphitheater’s challenging multi-pitch routes. A highlight for families is Sliding Rock, a gentle, 60-foot natural waterslide that ends with a breathtaking plunge into an icy pool of mountain water. 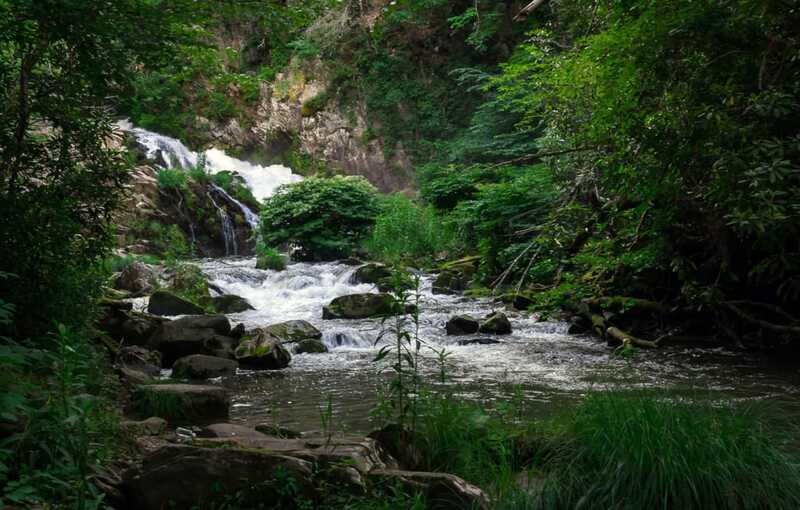 Other great options for waterfalls and picnics are Looking Glass Falls and Wilson Creek. The largest of North Carolina’s National Forests, Nantahala National Forest is named for a Cherokee word meaning “land of the noonday sun.” A deep gorge cuts through the forest, making for excellent mountain biking on more than 35 miles of intermediate to expert singletrack at Tsali Recreation Area. Hikes here range from heart-pumping climbs like Siler Bald to distance grinds along the AT to easy walks like the 1.8-mile nature loop through an untouched old-growth forest in Joyce Kilmer Memorial Forest. Experienced kayakers will enjoy Class I-III whitewater on the Nantahala River, a paddle that’s also perfect for beginner whitewater rafting and inflatable duckies. The Nantahala is also one of the top trout streams in the country, with a mellow current for wading and multiple roadside access points.